Let's cut to the chase and get to tonight's Top 10 List. 10. Keep meal planning EASY this month. Pull out your crock pot and take out menus! This month is about "ME" time and it's important to make time for your hobby. One of my FAVE recipes came from a fellow LOADster (I believe it was Heather S.) and is part of my menu rotation, LOAD or not. Place in crock pot 6-8 hours on low. Shred beef. Place on crusty rolls with melted provolone and cole slaw on the side. Serve au jus in small individual bowls for dipping. 9. If you don't already have one, start a pinterest sketch board. Pin away a bunch of go-to sketches that will make the design element of your scrapping stress-free. Don't get lost down the dark abyss that can be Pinterest, though. Set a timer and pin away...then walk away. 8. Take about 30 minutes to pull a kit together from your own stash. 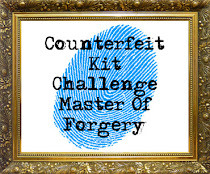 Over at Counterfeit Kit Challenge blog we do just that every month by drawing inspiration from the leading kit clubs on the market. It's a small time investment in the beginning with a BIG payoff in the end as you have a collection of supplies from your own stash just waiting to be part of your next layout. I could describe this process in an entire blog post, but in a nutshell...pull out a few pieces of cardstock/patterned paper/embellishments/letter stickers that all work well together. Create your layout, lather, rinse and repeat! If you'd like more information on how to Counterfeit Kit, click HERE. 7. Ok...if the idea of pulling your own kit intimidates you (which it shouldn't, but I know you have a lot to prepare before LOAD), pull out one of those collection packs you just HAD to buy or one of the many paper pads (12x12 or 6x6) you have in your stash. It's not cheating to use the ready-to-go collections of paper the manufacturers have coordinated for you. Work it, baby! Work it! 6. Have some projects at the ready as a back-up. I love the prompts and try to almost always follow them. I have told and scrapped some very unlikely stories based on them, but there may be times you feel uninspired or are short on time. My December Daily will be my go-to in February. 5. If your budget allows, buy a little somethin' somethin' (yes, I know we all should be using what we already have!) to kick start your stash and mojo. Now, I'm not talking about a big purchase here. I was in Target last week and found a little pack of American Crafts Valentine stickers in the dollar bin. I also scoured my TJ Maxx clearance aisle and rescued a lonely pack of Thickers on clearance for $1 (I don't care that they are falling off as I always reinforce them anyway). Think of it like when you buy a scarf or a new pair of socks to supplement what you already have in your closet - a wardrobe boost! Well, this is a stash-boost! 4. 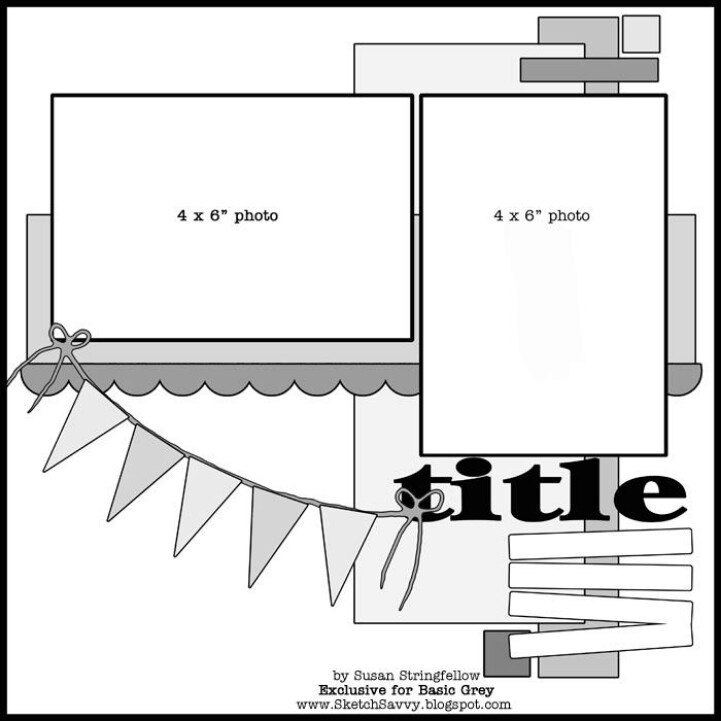 Use a plate stand or easel to showcase your work. LOAD has really become a family affair at my house. My kids (and husband, too) are eager to hear the day's prompt and what I'm going to scrap about each day. I proudly display them on a plate holder in the dining room throughout the month and they enjoy seeing them. 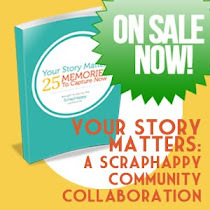 You will (hopefully) get more encouragement and support when you are busily scrapping if the whole family recognizes the important memory-making work you are doing. 3. 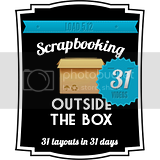 Scraplift YOURSELF! No need to reinvent the wheel. Find a layout you completed and love and lift the design. New photos...new papers...new embellishments...NEW LAYOUT! 2. Embrace the LOAD Community. This was the biggest surprise during my first LOAD back in October 2010. People...total strangers, really, left me beautiful, positive comments on MY layouts. ME! What a thrill! So, in turn I did the same and the love spread around. Now these amazing women are no longer strangers, but wonderful friends. I've even had the pleasure to meet some of them in real life. So even though LOAD keeps you very busy, make the time to comment on a few layouts a day. The feedback you leave will be treasured and the comments you receive will be a great motivation to you. You will quickly feel the LOAD love. 1. Be kind to yourself. LOAD is not for the weary, but we all can be successful in our own way. 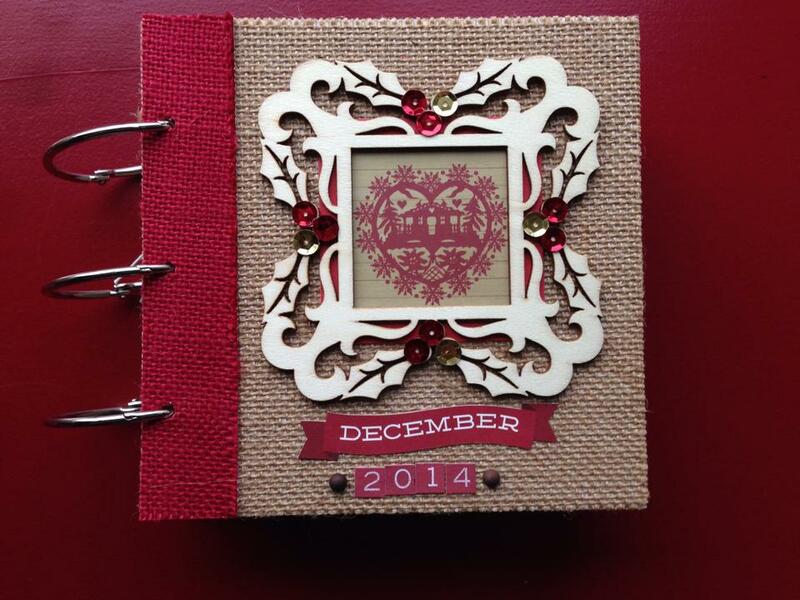 It is hard to make time to scrapbook every single day. 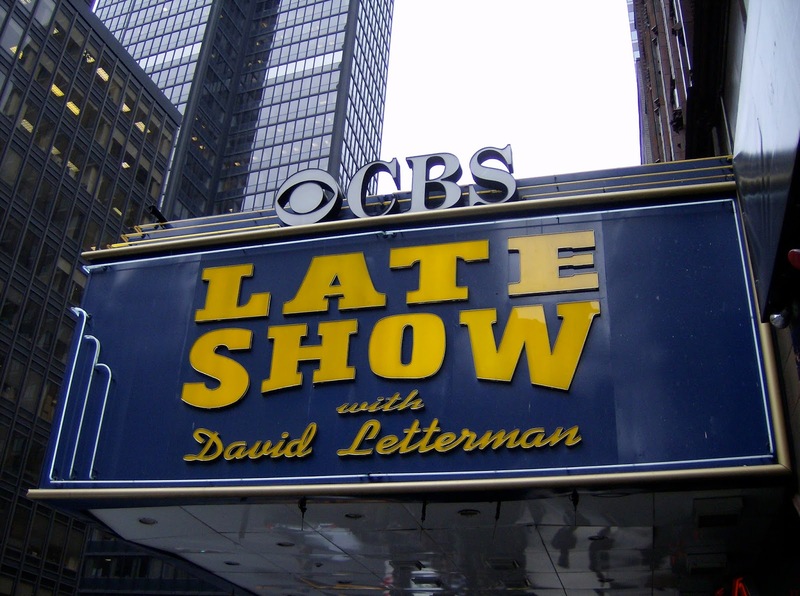 Whatever your stage or role in life, we are all busy and have commitments and obligations. Celebrate every single layout you make...even if it's just one. I've completed many LOADs and the sense of accomplishments is fabulous, but I've also been on the other end of not completing an entire LOAD and you know what? My End of LOAD pile photo may not be as high, but the sense of accomplishment is still there as I know stories were documented, photos were preserved and relationships fostered through this great LOAD community. And there you have it folks...tonight's Top Ten! Be sure to visit the other lovely ladies on the list below to read up on more tips and advice for LOAD. Love the idea to start a Pinterest Sketch Board! So smart! So happy to spend another month with you! Perfect countdown of lifesavers! I love the showcasing of the work idea! I think I'll do that! I love the idea of a Stash Boost! Awesome tips! Wow - what a great selection of tips, and a recipe too!! My husband loves those sandwiches so I'll be sure to give that recipe a try. Hope you've rescued all those homeless Thickers from Marshall's and TJ Maxx. Looking forward to seeing your lovely layouts in the gallery! Wardrobe boost! Great suggestion. Fun post. What a fun post! Lynette, I know exactly what you mean about the community! It was such a pleasant surprise to see such fabulous interaction! Can't wait to see all those layouts in the gallery! Great tips! The Counterfeit promotion is a great idea! and as for the friends - *sigh* - what can I say! Can't believe we get to meet up. Me - you - Pam! What a treat!